Open Easter to end of September each year. Open Easter to end September each year. Closed. Visits can be arranged. Open by appointment only, selected weekends Easter to end September. Contact us to book. Situated in the Clock House on the quayside at Ramsgate Harbour, Ramsgate Maritime Museum focuses strongly on Ramsgate and its immediate environs, with a brief introduction to the rest of the region's maritime past. Set in the heart of the country's only Royal Harbour, the Museum building is an exhibit in its own right, being the product of some of the most eminent civil engineers and architects of the early 19th century. The Clock House is also the site of the unique Ramsgate Meridian - from which our own particular Mean Time - 5 mins 41 secs ahead of Greenwich- was calculated! There are four galleries of exhibits telling the maritime history of the area with permanent displays on the development of the Harbour, Navigation, Fishing, Lifeboats and Shipwrecks. A fifth area, the Gallery Room, is now an exhibition space which is host to ever changing displays and events, including visiting local artists at work. Please see the homepage for information on current and forthcoming exhibitions. The nearby Goodwin Sands have yielded an important collection of artefacts from the Great Storm Wrecks, principally from the wreck of Stirling Castle (a 70 gun, 3rd rate, Man of War). Weapons, utensils and ship's gear provide a chilling insight into life and death aboard a British Warship in 1703. 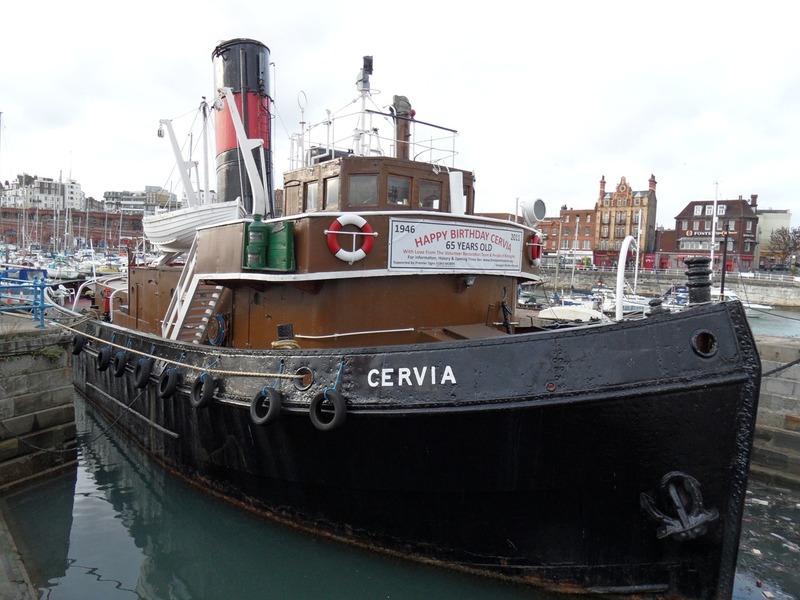 Ramsgate Maritime Museum is operated by the Steam Museum Trust Ltd.